HomeThe home page of the SC Forestry Commission. 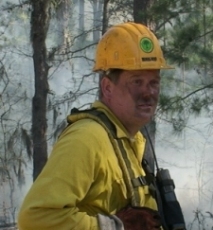 The South Carolina Forestry Commission is responsible for protecting 13.6 million acres from wildland fire; this includes 12.2 million acres of commercial forestland. The Forestry Commission has a statewide wildland fire prevention, detection and control network in place. Personnel are assigned throughout the state in a series of unit, regional, and headquarters offices. The largest single group of employees -wildland firefighters -report directly from their residences in responding to wildland fires. Forestry Commission dispatch is by closest available resource, regardless of political or administrative boundaries. There are approximately 439 county, municipal, and volunteer fire departments operating 1,122 fires stations in South Carolina. Most of these fire departments respond to wildland fires and control a large number of the wildland fires before they become destructive. The fire departments and the Forestry Commission work together to control wildland fires. Most of the fire departments are not equipped to control wildland fires that have burned beyond areas that can be reached from roads. Forestry Commission firefighters respond to more than 3,000 wildland fires burning about 20,000 acres per year; 98% of the wildland fires are caused by human activities. Fire departments respond to more than 20,000 grass, brush, woods, or rubbish fires per year. Information about Wildfire - Facts about wildfire in South Carolina, History of SC Firefighting, and Significant Wildfires in SC. Wildfire Statistics - Numbers of fires and occurence maps. Think Before You Burn (pdf) - A guide to safe outdoor burning. Fire Photos - Some photos of fire activity. Important Fires in SC - Find out about some of the big fires and others which have impacted South Carolina. Wildland-Urban Interface Fire Information - How the Forestry Commission can help you protect your home and community. SC Wildfire Prevention - Follow events as they are activated. Fire Prevention Poster Archive - SCFC's Fire Prevention poster collection. Fire Safety Links - Outside links to fire safety. Will open in a new window. Red Flag Fire Alert/Burning Ban- What is this difference between a Red Flag Fire Alert and a Burning Ban? SC Fire Weather - Today's Fire Weather Forecast. Laws and Regulations - Forest Law Handbook. Laws That Protect Our Forests & People - Forest protection laws safeguard the state's valuable natural resource. Training - Check to see if any Fire Training is coming up.